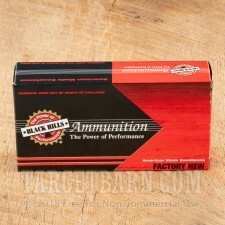 A relatively new name in the shooting world, Black Hills is fast becoming one of the most popular manufacturers of American-made ammo. 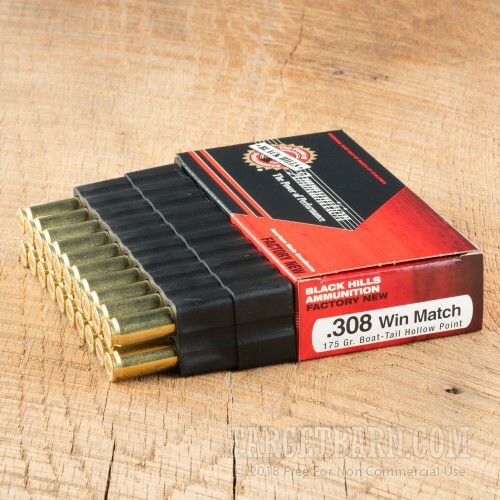 Used primarily by the nation's military forces, Black Hills Ammunition is also a favorite brand of hunters and competition shooters. 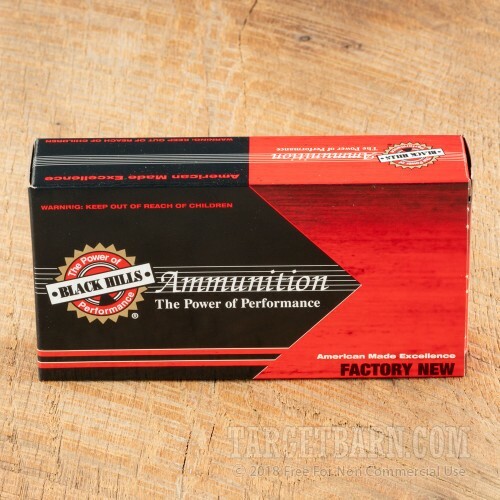 Producing factory loads that rival some of the best handloads, Black Hills ammo provides some of the best consistency, performance, and accuracy on the market today. 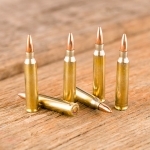 Perfect for the shooter who likes to stock up, this package contains 500 rounds of Black Hills 308 Winchester Match ammunition. 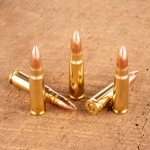 Each round is loaded with a 175 grain boat-tail hollow point (BT-HP) projectile. 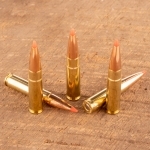 Designed with a teardrop base and held to exact tolerances in weight and diameter, these rounds shoot with pinpoint accuracy and a high level of consistency round after round. 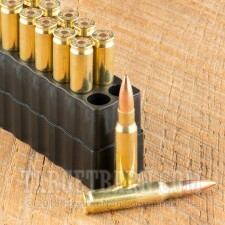 This factory fresh ammunition is loaded with boxer primers in non-corrosive, reloadable brass casings. 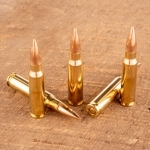 Each round produces a consistent muzzle velocity of 2600 feet per second and a muzzle energy of 2626 foot pounds. Whether you are shooting to bring down trophy big game or win competition trophies, you can count on this ammunition to deliver incredible performance and accuracy every time.